Hang five baby, mum has to check the share prices. And now you can, as well as text, email, chat and play some tunes while on the go. If there is one thing I love more than my iPhone, it’s an iPhone gadget. We have looked at a few handy devices for mobile phones but the texthook may well be the one that gets daily use. 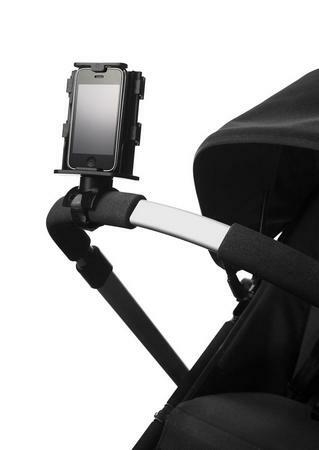 The texthook secures your phone to the handle of your pram (or treadmill, bike or shopping trolley) and allows full access to the phone screen or keyboard. The cradle rotates so that you can view your phone from any angle. The texthook is not just for iPhones – it is compatible with a range of mobiles including the Blackberry. I might not be dextrous enough to text while pushing the pram but it would be extremely handy to have information at a glance and I certainly enjoy a ‘hands-free’ natter. 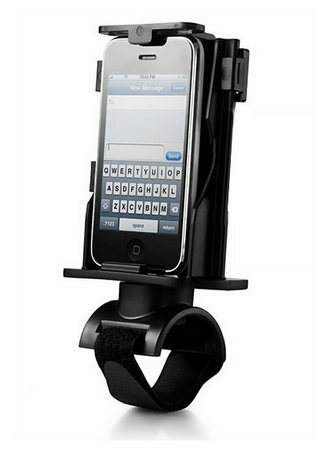 The texthook is US$25.99 and can be shipped to Australia.